There's a fundamental lack of transparency in the financial markets, with a lot of trading being done with paper contracts, making it hard to trace who has what risk and what the contracts actually represent. That can lead to people losing a lot of money, or it can lead to people assuming they've lost money when they actually haven't, both of which can be potentially disastrous . All because there isn't an easy way to tell with the system the way it currently operates. The way around those problem is to introduce smart contracts and blockchain technology, which will open up that necessary transparency into the market by making documents public. That's what CoinAlpha is doing; it's a provider of of smart contract-based financial products that uses blockchain technology and machine learning. Michael Feng, co-founder and CEO of CoinAlpha, was a derivatives structurer at Citigroup and JP Morgan for about nine years as was CoinAlpha co-founder Carlo P. Las Marias, who did the same thing at Goldman Sachs and other banks for roughly 13 years. "We’re pretty familiar with how those things work. Right now derivatives are part of our financial ecosystem but because they introduce a lot of intermediaries, which are needed to make them work, you run into situations like what happened with Bernie Madoff, where basically he was able to forge a few accounting statements and then everyone kind of relied on them because they had no way to check them and then people lost billions of dollars," Feng told me in an interview. Something similar happened after Lehman Brothers went bankrupt in September 2008, he told me. "Every derivative had exposure to Lehman Brothers, no one really knew how exposed they were because there’s this giant, interconnected web of risk. Because of that, everyone assumed that what they held was worthless, and that led, essentially, to the financial crisis," Feng explained. "We believe that blockchain technology will transform finance. And, specifically, we believe that smart contracts, in particular, are going to be how a lot of financial instruments that we use today, whether they be stocks or blonds derivatives, we believe all of them will be constructed using smart contracts in the future." It's a notion that has caught the attention of investors. On Monday, CoinAlpha announced that it raised $3.5 million seed funding led by Bain Capital Ventures, participated by Ironfire Ventures, SharesPost, and Stanford University’s StartX Fund. This is the company's first funding round. CoinAlpha has created two opensource protocols; the first one was called the Fund Protocol, and it's a smart contract that users can run an entire hedge fund off of. "As a fund manager, especially as a small one, it’s really hard to create one because you’re paying lawyers, you’re hiring a bank, you’re hiring a fund administrator, and a lot of those folks charge fixed cost, which means you have to raise millions of dollars just to get started. So we set out to create a smart contract that would replace all those people by having it be formed on blockchain," Feng explained. Other protocol it created is called the Basket Protocol, and it’s similar to the Fund Protocol but, "it’s for tokens that hold a set of other tokens and we believe they serve a lot of the same purposes as ETFs do in the financial worlds, where companies hold shares of other companies. But if everything is digital you can hold other digital assets." CoinAlpha has a few of funds currently using the Fund Protocol, including its own, though, because its an opensource protocol, the company doesn't know for sure exactly how many are using it. For the Basket Protocol, CoinAlpha has partnered in the U.S. with broker-dealer SharesPost to create investable cryptocurrency index products. The partnersip will provide SharesPost’s customers with access to the cryptocurrency market. Outside the US, CoinAlpha has a subsidiary in Malta, which is launching an application called Cryptobaskets. In addition to increasing transparency in the financial market, CoinAlpha is also looking to open up the financial world to a broader swath of people by making it more accessible. In fact, Feng called the protocols "an efficiency play" because they make it so much cheaper and easier to set up a fund. "If you were to set up a regular fund on your own, let’s say an ETF or index fund, what you’re really doing is creating a company. You’re hiring lawyers to help you do that, and there’s lots of others folks, like accountants and auditors, which enter the picture. If you simply create a token that holds a set of other tokens, it’s simply a smart contract call so there’s no formation of a company that goes into it. You’re just wrapping a bunch of token into a new token," he said. The idea is for blockchain to open up finance the same way that the Internet allowed Amazon to for retail, for Uber to open up transportation and for Airbnb to open up the hotel industry. Essentially, those companies decentralized those industries, making it so that customers didn't have to go to an incumbent, like a a big box store or a hotel chain. "In finance, that shift hasn’t happened in part because the small players just don’t have the ability to compete effectively with large organizations. The cost is very high, the cost to start an ETF is very high, and so that’s why, if you look in the finance space, only large players like Vanguard or Goldman Sachs own the market," said Feng. "We believe that what we will enable one day is allowing a network of smaller players, who have lower operational costs, to create these financial instruments, to compete effectively with the large players." For the average investor, that will mean that they can take on the same roles that a large fund manager can do today. For example, in the Basket Protocol, CoinAlpha has what it calls "rangers", or someone who picks a set of assets and recommend them to others. "An individual can play that role and earn fees by selecting good assets, but, unlike a traditional fund, they don’t have to start a fund, they don’t have to raise capital, they don’t have to hire lawyers and banks and spend all these capital to just get started. They just have to exercise their abilities to select good assets." Right now the role of the ranger is played by the founders of CoinAlpha, but it does expect to open that up to anyone, and that people who demonstrate a good track record will be able to make money in a way they couldn't before. While CoinAlpha will use its new funding to do some hiring, the main thing it will be doing going forward is developing its product. "We don’t just focus on the protocol but we try to help all users use the protocol efficiently, so we’ll be expanding the partnership that we have with Sharespost and enabling other asset managers to utilize the same technology to offer these new types of instruments to their investors," said Feng. "We believe that digital assets will be part of every investor’s portfolio in the near future but the actual technology, we believe it doesn’t make sense to offer you the same kind of technology we have today, basically regular financial instruments, in order to take advantage of them; we believe that you should be using blockchain technology to be creating blockchain native instruments." One thing that Feng stressed to me is that CoinAlpha has a big vision for what blockchain can do for finance, and doesn't simply want to make a product just to use the technology. "We believe that one issue with a lot of blockchain companies is that they are really fascinated by the technology, they want to build technology for technology’s sake. From our standpoint, maybe it’s because we see how both closed and inefficient the existing financial system is, what motivates us every day is the ability to create technology that allows anyone to jump in that game and be a fund manager, to spend less capital starting a hedge fund. For us it’s really about empowering that individual to replace the institution." 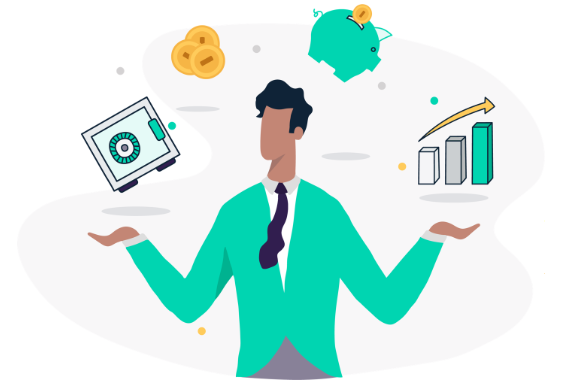 CoinAlpha enables developers, traders and Fintech companies to create an infinite universe of smart contract-based financial products, powered by blockchain technology and machine learning.